I’m of the general belief that almost any green can be pureed with some garlic, olive oil and tangy cheese to create something pretty tasty. There is of course the classic Italian basil pesto. I’ve had good luck with Italian parsley, I’ve seen it done with cilantro, and I expect oregano would work as well. So why not kale? Everyone keeps telling us to eat more of it, right? The inspiration for this recipe begins in the tiny town of East Orland, ME. If your travels take you up coastal Route 1 in Maine this summer, be sure to stop by the Breadbox Bakery on Backridge Road, a few miles north of Bucksport (if you pass Toddy Pond you’ve gone too far). I haven’t found a website for the bakery, but you can learn a bit about them here at the Orono Farmer’s Market website. We were delighted by their artisan breads, homemade cinnamon doughnuts and blueberry pie. 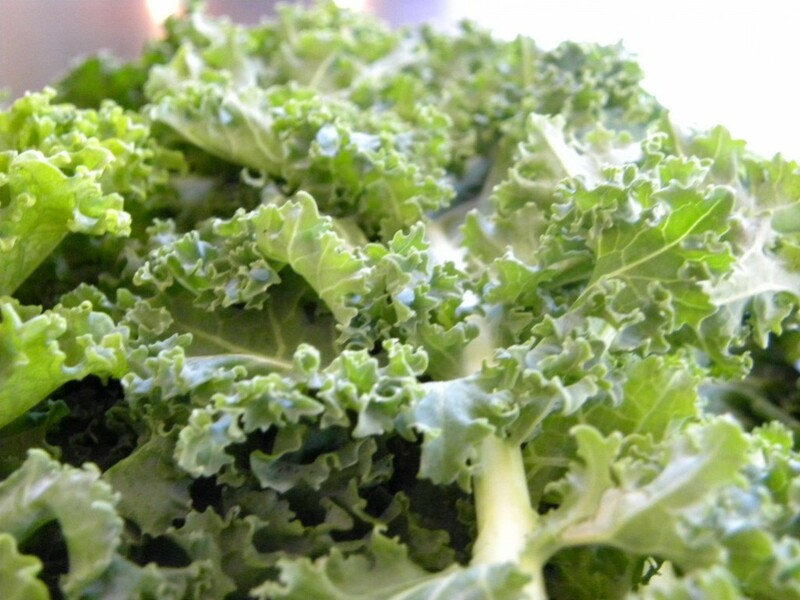 But the kale dip was the big winner… fresh, tangy, delicious for dipping carrots or crackers. Having nothing more than this lid to go off of, I tinkered around with the amounts until it tasted right. It was less creamy than the one from the Breadbox Bakery, but still good and quite tasty over pasta. Not unlike basil pesto, but a bit of a sharper, brighter flavor – – kind of like basil pesto’s saucy cousin come to visit. Place all ingredients in food processor and puree until smooth. Add more oil or cheese as needed. Salt and pepper to taste. 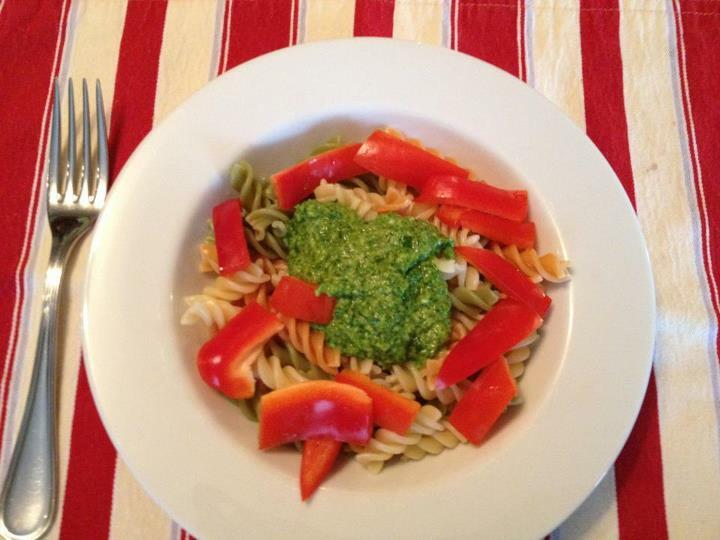 If putting over pasta, reserve ½ cup pasta water and stir into pesto sauce just before serving. We served it over rotini with some chopped red peppers, which complemented the flavors nicely. We had plenty leftover and plan to try it as a spread on sandwiches, over tomatoes, as a dip, etc etc. I’m also looking forward to making it in the winter months, when fresh basil is hard to come by but kale seems to always be in season.